For the past two years, Fish & Richardson has collaborated with the Girl Scouts to develop a program by which troops are able to earn their Intellectual Property Patch and Inventor’s Badge. The aim of this program is to teach young women they can be inventors and educate them on the basic tenets of intellectual property law, specifically copyrights, trademarks, and patents. At the events, Fish volunteers work with the troops to come up with a new invention, “draft” patent applications, brainstorm trademarks, and learn about copyrights by generating poems or songs about their new invention. For more information on this program, or to schedule an event, please contact Tasha Francis. 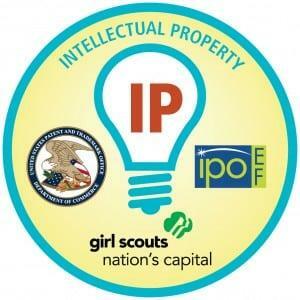 For general information about the Intellectual Property Patch, visit the USPTO’s website here. The third event for the Twin Cities office, and fourth event for Fish overall, took place on Sunday, April 12. 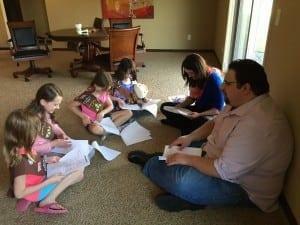 The Girl Scouts in attendance learned the invention story behind the STUFFIES toys and then were able to draft patent claims for those particular toys. The Twin Cities office had its second Girl Scouts event with Troop 16904 and the event was a success with 15 girls and four Fish volunteers. Fish hosted its first Girl Scouts intellectual property outreach event in the Twin Cities. 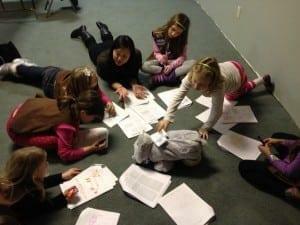 Troop 14514, along with the help of Fish volunteers, used toys to draft patents, brainstorm alternative trademarks, and create copyrighted poems. Fish launched their collaboration with the Girl Scouts. The first event was held in New York.